If you'd like to learn more about the With Others. For Others. 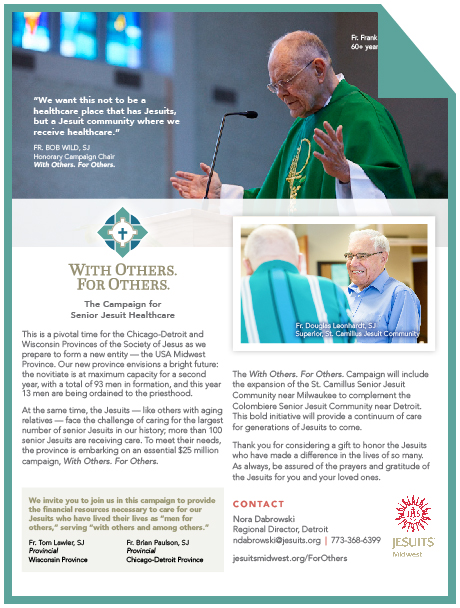 Campaign, each of our Regional Directors has information which will help you to understand both the need and the opportunity to support Jesuit Senior Healthcare. Click to download one of the pdf files below, or contact an individual Regional Director today. We're grateful for your interest.